Stephen B. Jaeger is Founder and Managing Partner of Argonaut Investments. Responsible for all day-to-day operations of the firm, Steve brings significant experience in all phases of real estate investment management including acquisitions, leasing, finance, development, dispositions and investor relations. Since 1992, he has acquired and managed over $500 million in real estate assets for himself and high net worth investors. Through a patient and focused investment approach, Steve has grown a portfolio of shopping centers and manufactured housing communities, which has produced considerable and above-market returns for all of his partners. Steve has built a fully integrated investment and property management firm prepared to handle significant growth in the years ahead. 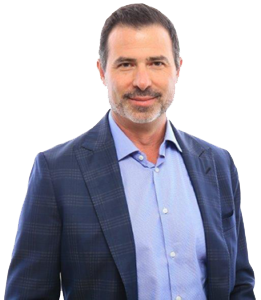 Prior to forming Argonaut, Steve began his career in real estate in 1988 at TRI Commercial Brokerage in San Francisco, where he completed over 100 sale and lease transactions. He is active in several San Francisco athletic and social clubs and a variety of local and national charitable organizations. Steve received his BA in Economics in 1987 from the University of California, Santa Barbara.